Many members of the club participated in the ARRL RTTY Roundup contest in January. The combined club score was well over 600,000 points. Thanks to everyone that participated. Our Tangier operation this year was different than what we have done in the past. We only operated a single station and let club members and guests operate under their own call sign if they chose to. We had a great time and made several hundred QSOs over the weekend. W4BNO has uploaded some pictures of the weekend to flickr. Several club members got DXCC awards this year. Congratulations to these folks for the work they put into getting their awards. 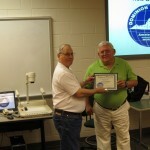 KC4QYG presented with his DXCC award. 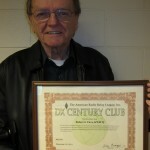 Bob, KW4CQ, proudly displays his DXCC certificate! Barry, W4DKR, receives his DXCC Phone certificate. 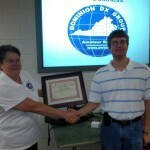 Jon, NQ4A, receives his 15 meter DXCC award at the December 2012 DDXG meeting. 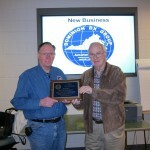 In addition to DXCC, several members of the club received other awards. 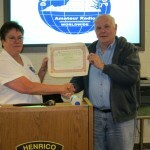 WD4LBR received his “Worked All States” Triple play certificate. Joe Fijol, KJ4SSX, received his eQSL 25 Country certificate. 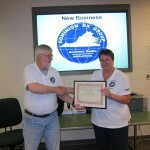 WD4LBR received a “DX Champion” award from the Central Virginia Contest Club for working the most new band entities and the highest percentage of needed entities. 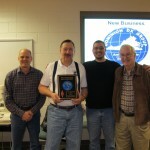 Several members of the club participated in the 2011 ARRL SSB DX contest from Costa Rica and took first place! Andy, KC4QYG, earned his WAS Triple Play certificate. Bruce, WD4LBR receives his Triple play award from Sheila. Joe (KJ4SSX) with his eQSL 25 country certificate. 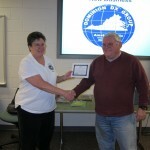 Bruce, WD4LBR is presented with his DX Champion award. Despite having known the members of the club, Joe Fijol, KJ4SSX became a full member of DDXG in 2012. 😉 Welcome, Joe! 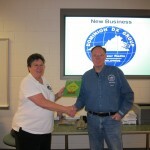 Joe Fijol (KJ4SSX) becomes a full member at the May 2012 DDXG meeting. Looking back, 2012 was a great year for DDXG and we are looking forward to more radio active fun in 2013.